THE TEERITZ AGENDA: Friday 25/7/14 - Happy Anniversary Apollo 11! 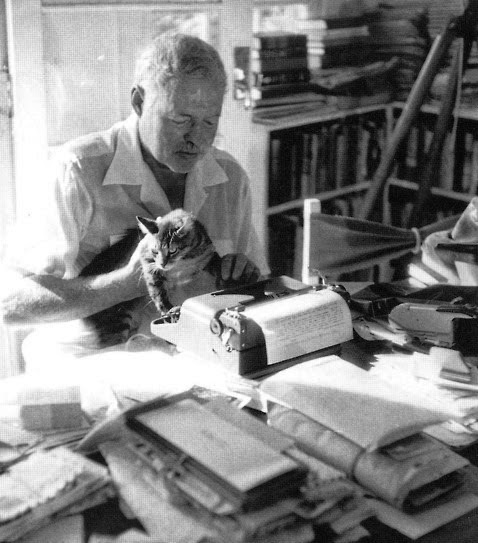 , Happy Birthday Messrs Hemingway and Chandler! , A Peek at a Gutenberg Bible & This Week's Wristwatches. Friday 25/7/14 - Happy Anniversary Apollo 11! , Happy Birthday Messrs Hemingway and Chandler! , A Peek at a Gutenberg Bible & This Week's Wristwatches. Things are beginning to get busy around here. My wife took the kids to see "Dawn of The Planet of The Apes" (Dir: Matt Reeves, 2014). I went looking for a cheap briefcase. While I would have gone along to the movie, I suppose I still have fond memories of the Charlton Heston one from 1968 and therefore didn't feel a strong urge to see this new one at the cinemas. No doubt I'll catch it on DVD when it's released. However, I didn't buy it. I wanted to think about it a little more. 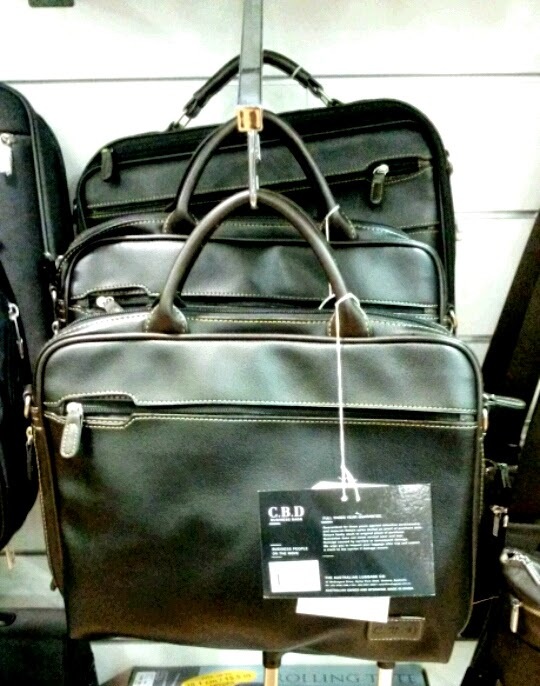 It wasn't expensive, as far as leather briefcases go. It was on sale for seventy bucks, down from $130.oo. That's cheap. Actually, it's a little too cheap, but I didn't want to spend big bucks just yet. I wanted to have a good think about its use. I will be undergoing industry placement in a library next week. I'll work full-time hours Monday to Friday for the first week and then do two days a week until I've completed the requisite 80 hours of this placement. And I'll bring the briefcase with me, to carry my (paper) notebook, log-book, and sandwich. After that, the bag may go into the wardrobe until I find some paid work. Hopefully, it won't gather too much dust before it gets put into service again. That's my driveway, doubling for the Sea of Tranquility. My son stayed home sick with the 'flu. He got it at the same time I did, but seemed to be getting better last week. He woke up this morning coughing, so we figured he should stay home. He didn't argue. Holy mackerel, it was Ernest Hemingway's birthday yesterday (21st) and I didn't have a drink in his honour! Much has been said of Hemingway and whether he was as masculine as he made out, but I don't care what anybody says. If he had never existed, you would have had to invent him. My favourite novel of his is "The Sun Also Rises", written in 1926. I read it back in the early 1990s after plowing through most of his short story collection. "The Sun Also Rises", sometimes also referred to as "Fiesta", is a wonderful book about a group of American expats who are in Spain for the annual Running of the Bulls festival. The main character is a journalist named Jake and the story concerns his heart-breaking yearning for the beautifully drawn British aristocrat, Lady Brett Ashley as they make their way through Pamplona and the bull fights. Of course, there's more to the story, but I'm going by my memories of the book rather than picking through Wikipedia or the rest of the internet. It is one of the finest books of the 20th Century. I gotta get around to reading "Papa Hemingway", a biography by his friend A.E. Hotchner, who was also a very close pal of Paul Newman. It was Hotchner and Newman who set up the Newman's Own company, based on the success of Newman's wonderful salad dressing. The best part? All profits have gone to charity since the company was created back in 1982. "Not far from the city of Mainze there appeared a certain Johann, whose surname was Gutenberg, who, first of all men, devised the art of printing, whereby books are made, not by a reed, as did the ancients, nor with a quill pen, as do we, but with metal letters, and that swiftly, neatly, beautifully." - Guillaume Fichet, Paris, 1470. Earliest mention of Gutenberg as the inventor of printing by moveable type in Europe. There is a copy of one of the first Bibles ever printed, currently on display in a library of Melbourne University. As part of our Conservation & Preservation class, we went along to view this important piece of printing history. Johann Gutenberg (c. 1400-1468) is considered the father of the printing press and it is only when you take a close look at something like a Gutenberg Bible that you realise the level of painstaking work and artistry that went into printing a book in past centuries. Gutenberg printed 180 copies of this Bible before he died and it is thought that about 48 of them still exist. The copy that we viewed is believed to have been printed in 1455. I was looking at a 650 year-old text. picture courtesy of The John Rylands Library, University of Manchester, UK, as seen in The Age- From Manchester to Melbourne: A rare treat for booklovers. ,10/6/2014. Picture taken from www.wikipedia.org - Gutenberg Bible. Photograph taken by NYC Wanderer (Kevin Eng). The level of detail and clarity of this work was extraordinary. Sure, it was printed in Latin, but the sharpness of the paragraph edges and their alignment on the page shows just how much care and attention would have been taken with this process. From what I was told, each copy had space at the top of each new chapter to allow for the owner to have the first letter of the paragraph drawn in illuminated font. Looking at the letter 'P', I began to wonder if the golden sections decorating the letter were done with gold leaf or molten gold. Either way, I would imagine that no two copies of this book would be the same, given that different owners might have employed different artists to do the work. There were about 12 to 15 other works on display, showcasing the efforts of other printers over the following 400 years or so, but it was this Gutenberg Bible that I'm sure most people would be coming to see. Later that night, it was time to have another celebratory drink. It was Raymond Chandler's birthday. Picture taken from http://www.lataco.com- Raymond Chandler- Dead Fifty Years Ago Today , 2009. This time, it would be Scotch. That's what Philip Marlowe kept in his desk as his office bottle, so that's what I'd have. Not too much. Just enough to "give me the right amount of swagger and guts, should I run into a couple of Boy Scouts intent on giving me Hell", as Marlowe might have said (maybe not). I grabbed the camera, and the only Raymond Chandler book of mine that's not currently packed away in a box. Oh, and a pair of Chandleresque spectacle frames that my wife has yet to have fitted with prescription lenses. Couldn't decide on which pic to include, so I figured I may as well throw in all three. No drink in these photos. I downed it before I took the pictures. I do like a decent denim jacket. I bought one from GAP about five years ago and it has served me well. I've always worn Levi jackets, but they weren't making any with side pockets five or six years ago, so when I saw one with pockets at GAP, I pounced on it. This one in the photo was down from $109.95 to $43.97. I really couldn't say 'no' to that kind of price. Man, that shirt's going to need a wash and iron before I put it on. That collar's a mess. Anyway, it's raining here in Melbourne right now and I'm about to get in the car to go to the supermarket. "What a thrilling life you lead, Teeritz!" And next week, I'll be doing industry placement from nine to five. Yep, things are beginning to get busy around here, alright. Looking at that Bible shows that even printing went from a functional work of art to uninteresting it-all-looks-alike bland type face. Second law of thermodynamics -- everything deteriorates. That's the difference between machinery and handwork. Handwork makes it art, because it takes more effort and more feelings get put into it. Amazing opportunity Teeritz! Just re-read 'The Sun Also Rises' recently myself, while looking for a bit of inspiration. Man, I have to say I am finding the older writing style far superior to some of the lengthy tosh that fills the shelves these days. Hooe you are doing well. Oh, gotta catch up with you really, really soon. Even Jane was asking if I had caught up with you lately (like, she hadn't noticed me working weekends). @ Bill M & Spiderwebz, this book definitely showed the effort that went into its production. And it was an amazing opportunity to see this Bible. @ Scott, my copy is in a box...nestled alongside 28 other boxes. Needless to say, I won't be searching for it anytime soon. Which makes me savour the next time I read it even more. Things are okay here, although my wife and son have this nasty 'flu now. This week's busy with me undergoing industry placement in a library. Interesting times, but we'll deffo catch up soon.